Kenny Sidle was born in a log cabin in Licking County, in central Ohio. He grew up listening to his father, Vernon Sidle, and uncle, John Cromer, who were both fiddlers and encouraged him to play the tiny instrument they gave him. At the age of 5, Sidle made his first public appearance, on the stage of a traveling medicine show. The first tune he performed was "Listen to the Mockingbird," which he played on one string with one finger. This performance, he recalled, was a roaring success, but he stopped playing in public immediately. Still, he continued to hone his skills, practicing at home and jamming with family members. In the 1950s, Sidle began playing professionally for local radio shows and square dances, though he never was a full-time musician. Through the years, he developed a distinctive "contest" style that reflects some Texas influence. Some feel his music also has the "notey-ness" of French Canadian fiddling, although it is difficult to place Sidle in any single line of development. He displays technical precision in his bowing and noting, while retaining the warmth and excitement of traditional fiddling. These abilities, combined with his affable personality, have made him immensely popular among musicians, callers, dancers and his community at large. 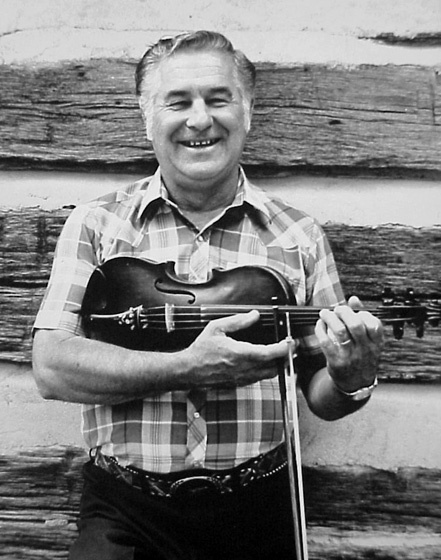 He has performed around Ohio and traveled frequently to Canada, where his fiddling is much admired. 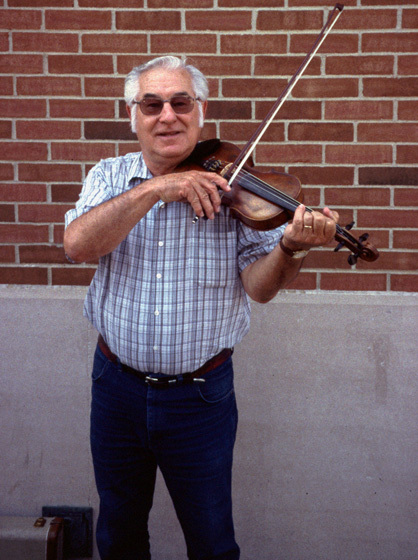 Sidle's repertoire consists primarily of slow quadrilles and waltzes, reminiscent of the music of an older generation of central Ohio fiddlers, such as Caney Perry and John Wiley. Fiddling in Ohio has a long history. The earliest settlers brought the violin with them, and travelers reported hearing both black and white fiddlers as early as 1800. In the 1970s, Sidle played with the Cavalcade Cut-Ups, the house band for the North American Country Cavalcade, a program that aired every Saturday night from the Southern Hotel in Columbus, Ohio, and was broadcast on radio station WMNI. Sidle once turned down an offer to join the Grand Ole Opry to focus on supporting his family. Since his retirement, he has focused on competition and has won numerous contests and served as a judge. Sidle, Kenny. Favorite Fiddle Tunes. Rome Recording RLP 1128. ______. Fiddle Memories. Starr SLP-72589.